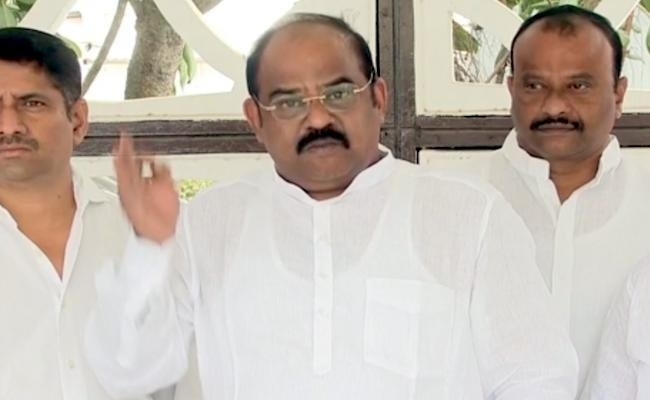 Rajahmundry, Jan 21: Ahead of the crucial general elections, senior BJP leader and Rajahmundry MLA Akula Satyanarayana on Sunday decided to join hands with Actor-politician Pawan Kalyan’s Jana Sena. In an official communication to state BJP Chief Kanna Laxminarayana, the Rajahmundry lawmaker informed about his decision. The senior BJP leader also resigned from the post of MLA as well as from the primary membership of BJP. Addressing the media here, Satyanarayana said that he will join Jana Sena in presence of Party Chief Pawan Kalyan. When asked about his role in Jana Sena, Satyanarayana clarified that he was not after any specific post and would work for the betterment of the regional outfit. In 2014, BJP fielded Akula Satyanarayana from Rajahmundry City. He defeated YSR Congress Candidate Bommana Raj Kumar by a margin of 26,377. Founded in 2014, Pawan Kalyan’s Jana Sena had backed TDP- BJP alliance but this time, the actor turned leader is all set to go alone.